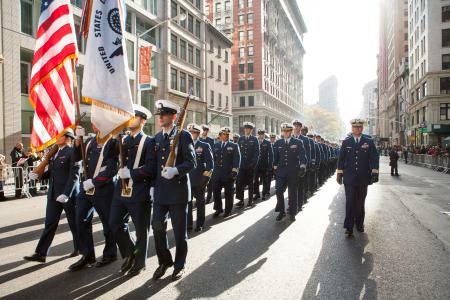 As we reflect back on the Thanksgiving holiday in the U.S., and following a brilliant Veterans Day parade in New York City earlier in the month, the team at Star Mountain Charitable Foundation wishes to thank U.S. military veterans and their families for their contributions and sacrifices. Whether a man or woman served in World War II, the Korean War, the Vietnam War, the most recent wars in Iraq and Afghanistan, or the current war on terror, we applaud your love of country, your commitment, your discipline, and your dedication of your life to protect America. The military also serves at home, with organizations including the reserves, who respond to emergencies with tremendous organization and skills. Every day when we walk through Grand Central Station here in NYC, and many other public venues and transportation hubs, the military presence assures us that we can live our lives with the freedom our country stands for. When regions in our country are hit with hurricanes, floods, tornadoes, earthquakes and wildfires, the U.S. military is there; from rescuing citizens from rooftops, to performing the important work of engineering and future planning- as does the Army Corps of Engineers. When we are attacked by terrorists, supporting law enforcement and military troops respond. To further prevent attacks, Military Intelligence officers and teams are building an increasingly modern technology platform enabling them to identify terror cells and prevent attacks, saving countless lives. While this silent military is at work every day, we may never know the breadth of their service as they quietly manage the “new normal” on the digital front. We have seen young people lose their limbs. We’ve seen tens of thousands of veterans suffering from Post-Traumatic Stress Disorder and Traumatic Brain Injuries. We’ve been deeply saddened by the suicide rates of our veterans, reaching epidemic proportions with an average of 22 suicides a day. And we have also seen many organizations rallying support, including an organization celebrating their first year – the Veterans Education Challenge, established by Bruce and Avis Richards, in partnership with the Birds Nest Foundation. Just as we owe it to our veterans to provide them lifetime support in terms of healthcare and other benefits, we also owe it to them to provide the financial support vets need to complete their college education, then find great civilian jobs and paths to continued public service. Let’s all do what we can to not only thank veterans but help them on their way, as they have helped keep us safe, and made millions of lives better, not just in America, but around the world where they also help communities recover after conflicts.